At Walkerton Toyota, We make it our priority to provide the best customer service when it comes to ANYTHING to do with your vehicle. Your positive experiences and support allow us to grow as a dealership and give back to the community that has given us so much! Rate us, write a Google Review or Like/Rate us on Facebook! 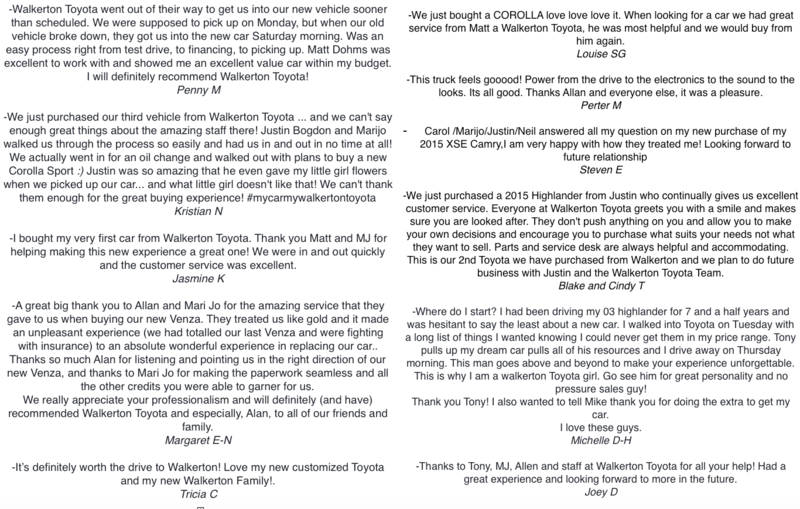 Here are a few comments we’ve received about Walkerton Toyota!